Few other modern pickups have the power, prestige, and road presence that the new 2018 F-150 Limited does. Representing the pinnacle of the F-150 lineup, this rare beast is only for those who insist on nothing but the absolute best. Visit Team Ford today to browse our New Vehicle Inventory for your perfect F-150. We also carry plenty of lightly-used examples in our Used Vehicle Inventory for your consideration.  Either way, Team Ford is your best choice for cars, trucks, and SUVs in the Edmonton area! The 2018 Ford F-150 has been refreshed to ensure that it continues to stand out from the crowd. That’s why the new Limited now comes with a signature split-bar grille, exclusive “Limited” hood badging, and redesigned tailgate stamped with “Limited” to ensure everyone knows what you’re driving. Every Limited model comes standard with the top-level 3.5L EcoBoost engine which now produces a staggering 375 horsepower and 470 lb-ft of torque. Plus, this revised engine is now connected to an all-new 10-speed automatic transmission to ensure you won’t pay a fuel economy penalty for all that power. Ford knows that a modern pickup needs to be able to handle more than just the job site, it also needs to handle the daily grind as well. That’s why the 2018 Ford F-150 Limited is jam-packed with clever technology like an upgraded Automatic Collision Mitigation to improve your safety, as well as a new Auto Stop/Start Technology to help you save fuel. You can even remote start your F-150, check fuel levels, vehicle locations, and lock/unlock your truck from your smartphone with the Ford MyPass app! To learn more about this model, Contact Us anytime for more information, or take a look in our New Vehicles Inventory!